I don’t need to tell you that taking photos on your phone has become a lot more popular. Whether you’re a blogger, traveler or just an admirer of aesthetic thing. 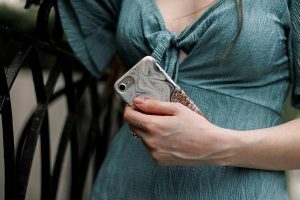 There’s even discussion about using your phone for photos on Instagram calls for higher engagement. Your phone is a compact, convenient and coherent companion to take around with you to capture photos. I definitely use my phone way more than I do my camera, especially for Instagram photos. As there’s so many bits n’ bobs online now that can maximise your phone photos. 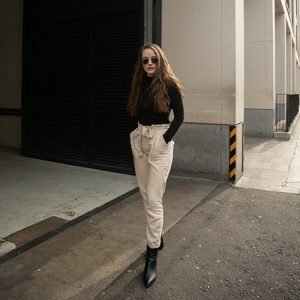 So I thought I’d show you my tips on how to get the most from your phone photography. This is especially good for those who love a good flatlay. Or if you need to get a quick snap on the go and need it to be as straight as you can. Just go on your phone settings and activate the grid lines on your camera, easy as! You can line up the image perfectly so when it comes to editing you’re not skewing the perspective too much. It can also help you centre items or arrange flatlay props to have the perfect balance. Lighting is a no brainier with phone photography. I personally use natural lighting but if you want to invest in lights go for it as I know many people who love them. But when it comes to your phone you need a solid light source to get that perfect shot. And it’ll prevent any weird tones or shadows to save a lot of time in post! And follow the light, especially when outside – go to where the light is great and capture those great moments of light such as golden hour. I say this with most photography things, but you’ll never know if you don’t try. I also had a load of little tips I needed to put into one heading and this was the best I could think of. But experiment with apps, HDR, live photo – all that good stuff. Also learn and begin to understand what each app or feature has to offer, as its more intricate than you might think sometimes. Also clean your bloomin’ lens. Having a focus point makes life so much easier, it means you can play with your light and camera more. And it’ll help you keep the photo straight and keep to the rule of three. It doesn’t have to be central just know what you want to be the eye catching point. Too. True. Just spam that camera button like there’s no tomorrow. You’re likely going to have 500 photos of the same thing and only like a few you like, but that’s better than only taking a few and not being what you wanted. Just take a photo in every single angle and position you can think, even if you don’t think they’ll work. As you never know. So there are my tips! Happy snapping! 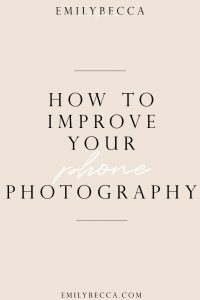 I really want to start using my phone more for photography so these tips will be helpful!